5/18/15 School Safety Q & A: Bullet Proof Glass for Schools? The following is part of an interview conducted by high school student “Melanie” with Co-Founder and Executive Director, Michele Gay. We’ll post subsequent questions and answers from the interview as part of our continuing School Safety Q & A Blog Series. We are very proud of Melanie’s contribution to the national school safety conversation! Melanie: On your [Safe and Sound] website, there are many ideas that can be implemented [in] schools to make them safer. What are your opinions on the [use] of bulletproof glass? Is this affordable for schools? Michele: The idea of protecting and reinforcing glass has been recommended by school safety experts for quite a while. This simple measure can deter, delay, or completely prevent unauthorized entrance to school buildings through glass windows and doors. It’s in use today in banks, government buildings, and stores. What’s most commonly used to protect glass windows and doors today is not “bullet proof glass” though. It’s something called “ballistic film” or “glazing,” an application to existing windows that’s designed to prevent shattering and reinforce integrity. Bullets or other small projectiles can still pass through treated windows; however, the glass can better withstand impact. The treated window is no longer an easy entry point, and broken glass pieces cannot become dangerous projectiles (as they might in an impact, explosion, or high wind event). Windows can be manufactured with this technology at the factory level now too, allowing schools to install already reinforced windows during building construction. The cost of installing protective film, and the necessary anchoring system (to keep the glass attached to the window frame upon impact) runs an average of $15-25 per square foot. Not cheap–but not out of reach for most school communities willing to budget, fundraise, or work for bonds and grants. Many communities across the country are “phasing in” their installation, with focus on high priority areas first. In addition to costs, proper installation of the film requires consideration of time and environmental factors too, so schools must plan ahead and do their homework for this project! Another option for protecting glass windows and doors is something called a ballistic shield. Ballistic shields are aluminum, plates installed over glass to prevent access. Although not “bullet proof,” these shields can withstand gunfire and impact, preventing access and protecting from danger outside. The shields are not transparent, like ballistic film, but may provide a more affordable and immediately available solution for schools. According to Rob Couturier, who manufactures and installs ballistic shields, the shields cost $48-142 per window or door, and can be installed a day or less. Rob’s company customizes the plates with school names and logos “to make them part of the school” and provide openings for visual surveillance from inside the building. As always, it is critically important for schools to include local police and fire officials when considering any safety enhancements. Approaching school safety decisions as a team, represented by many stakeholders and perspectives, can build strong community support and engagement in school safety. 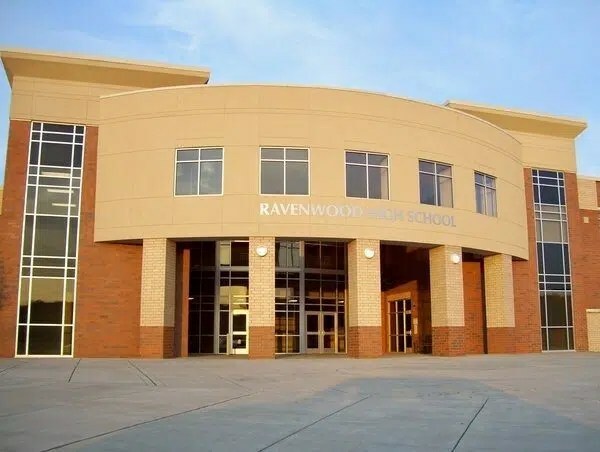 https://i2.wp.com/www.safeandsoundschools.org/wp-content/uploads/2015/05/ravenwood-high-school-brentwood-tn.jpg?fit=600%2C452&ssl=1 452 600 Michele Gay https://safeandsoundschools.org/wp-content/uploads/2018/11/logo.png Michele Gay2015-05-18 23:45:542018-09-18 11:55:085/18/15 School Safety Q & A: Bullet Proof Glass for Schools? None can doubt the veacirty of this article. Are security windows really needed even on school? I mean it’s not bad to extra careful but this is whole new level of it.